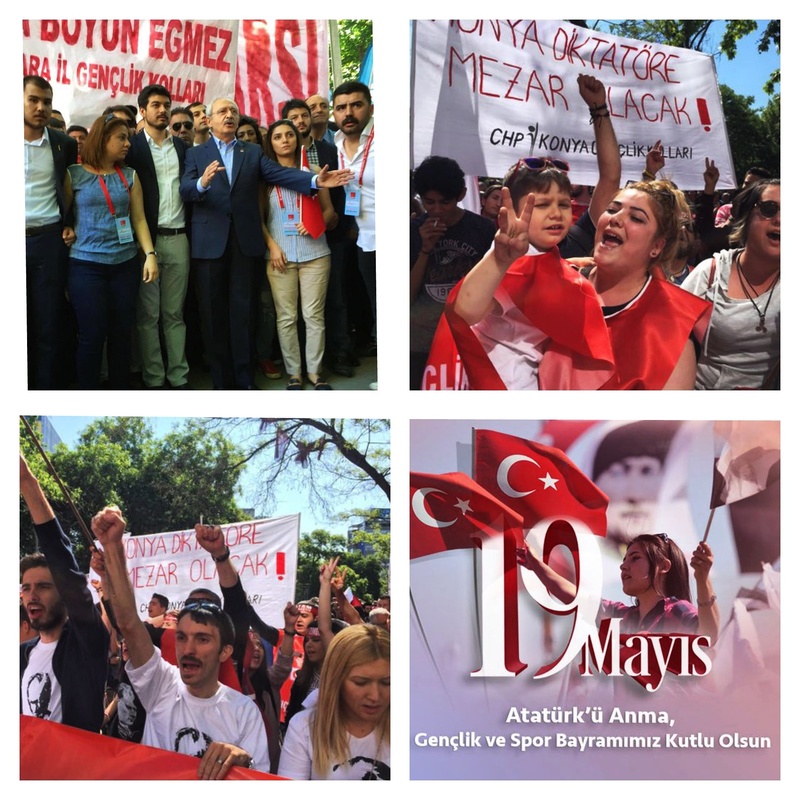 Despite Ankara governor’s ban, Turkish social democratic CHP marches from Güven Park to Anıtkabir (Atatürk’s mausoleum) on 19 May, the Commemoration of Atatürk, Youth and Sports Day, symbolises the start of Turkey’s War of Liberation when the founder of the modern Turkish Republic, Mustafa Kemal Atatürk, set foot in the Black Sea province of Samsun to initiate the struggle on May 19, 1919. 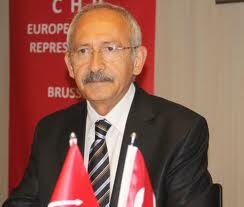 The national day is celebrated across the country with events organized by the CHP and other Turkish progressive forces. “Since when do people need permission to remember Atatürk?…We know to challenge every kind of oppression, no despot regime has survived” said Kemal Kılçdaroğlu, leader of the main opposition CHP. The mausoleum of Atatürk, Anıtkabir, is also open for visits throughout the day, between 9 a.m. and 4 p.m., and between 7 p.m. and 10 p.m., as thousands usually flock to the commemorate Atatürk. “I always repeat this. I am a child of Atatürk, his revolutions and the republic. I was brought up by village institute graduates,” Sancar said on May 14, referring to Turkey’s pioneering system of rural education launched more than 70 years ago which introduced coeducational learning and courses on farming, technology, Iiterature and music in some of the country’s most underdeveloped regions. “I am their product. I gained [the Nobel Prize] through them. The Nobel Prize belongs to Atatürk and the republic,” he added.